The pond is really named “Rose’s Pond”after the people who donated the land, but I call it Jörmungandr Pond after the sculpture of the Midgard Serpent in the middle. 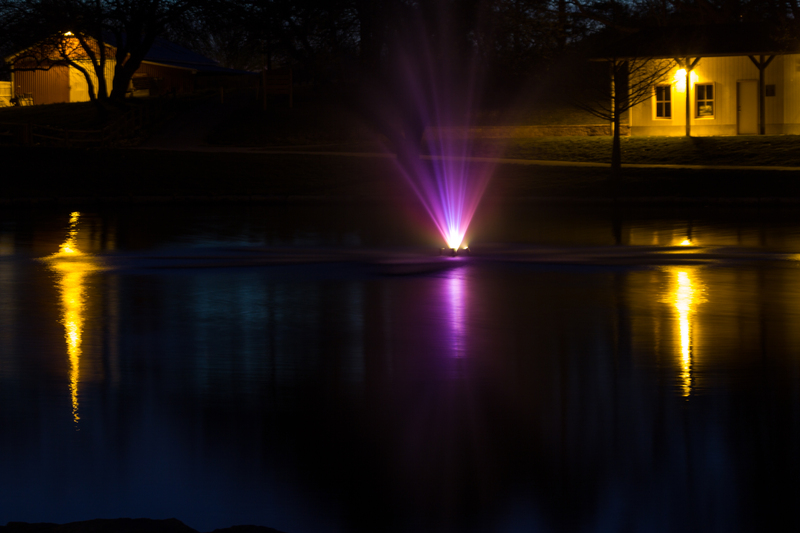 Lenexa lights up the fountain at night, so I decided to get a picture of it while walking Kasey early yesterday morning. It’s a bit fuzzy, I wasn’t able to grab a sharp focus with my aging eyes at night. Next time I will take the android pad so I can see the image larger and sharper than on the camera back.